Protect Your Prices! | West Coast Solar, Inc.
As you are likely well aware by now, going solar has many benefits including savings, convenience, and reduced environmental impact. In addition, using solar power for your home can help to increase your energy independence and future-proof your energy costs. Here in California, homeowners pay more for electricity than most other residents across the country. In fact, the electricity prices from the grid are about 40% more expensive here in the Brentwood area than in most regions in the U.S. In addition, these prices have been rising and don’t appear to be slowing down. Installing solar for your home, whether it offsets only a percentage of your home’s electricity usage or all of it, will help you avoid experiencing huge energy bill surges when the utility company changes its rates. With net metering, you’ll be able to get credit for the power your system produces and you don’t use right away, so that when you need to use electricity from the grid (at night) you’ll be able to use the credits instead of having to pay those rates. When you add battery storage to your home’s solar system, you’ll be able to save even more and further increase your independence. Although it all depends on what your goal is, with a large enough solar installation and enough battery storage — you could even live entirely independent of the grid. 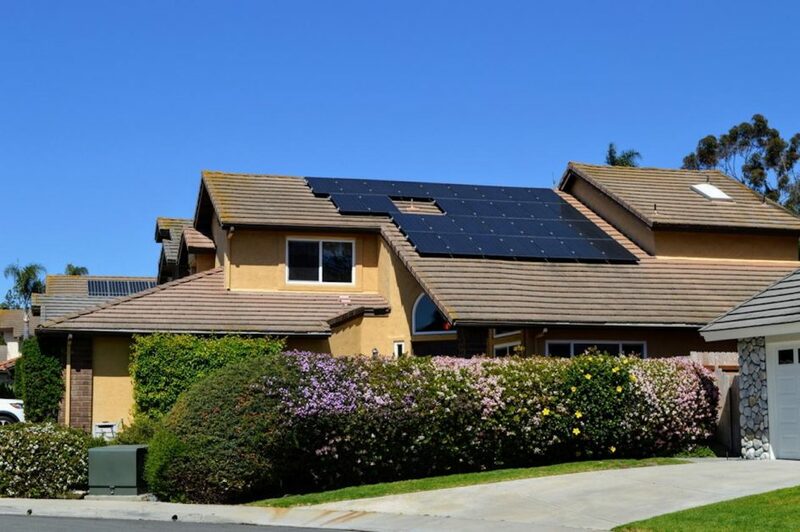 Most homeowners in Brentwood and the surrounding region are only looking to increase savings by substituting a part of their energy use with solar power, however, even they will be protecting their utility prices. With solar and battery storage you won’t have to worry about the unknowns of the what the future will bring in terms of energy costs, since you’ll be producing your own power to cover a part (if not all) of your home’s energy needs. At West Coast Solar, we know just how much savings matter to our customers and just how unpredictable the local utility rates can be. That’s why our local solar specialists will help you design a system that meets your needs — whether that’s entirely eliminating your bills or simply cutting them down. If you’re interested in financing your system, our team will provide you with the best options and make sure you take advantage of the federal solar tax credit. Our experts will then complete the installation of your solar panels, as well as your battery storage solution. Finally, we’ll give you the tools to monitor your power production so that you can see the savings from day one! Tired of paying those high electricity bills? See just how much you could be saving by scheduling your no-cost solar assessment today. Call 877-379-3448 or contact us!